Neshant wrote: China 260... times 10 maybe. They have to target Russia, US, UK, India.. etc. And this is where China will be very careful. They wan't to build just enough inventory to possess a credible deterrent but not enough to warrant both Russia and US to get rid of the New Start and pursue counter strategies of their own vis-a-vis it's deterrent. I think the US may in the next decade withdraw from some of these treaties which would impact China and it's conventional and strategic capability. Depending upon how the boost Glide program goes and how development of TBG impacts future treaty language, the US could well withdraw from the INF citing the Chinese conventional ballistic missile capability. The Current TBG program is designed to be INF compliant (below 50% ballistic profile) but if it's successful (both sides) there will be attempts to introduce language regulating it. That may be problematic. The 21-in.-diameter Standard Missile-3 being corporately developed by the U.S. and Japan has intercepted its first ballistic missile target in what will likely be noted around the world as a significant step forward in missile shield technology. The test, previously described as a “big deal” by the U.S. Missile Defense Agency (MDA), took place at about 10:30 p.m. local time at the Pacific Missile Range Facility at Kauai, Hawaii. The new Raytheon Standard Missile-3 Block 2A exoatmospheric interceptor was used to destroy a threat-representative, medium-range missile target. The missile was fired from a Navy Arleigh Burke-class guided missile destroyer at sea using organic targeting cues from the ship's Lockheed Martin SPY-1D(V) radar. It was the Block 2A missile’s third flight test and first launch from a ship, as well as the first intercept trial. The test had originally been set for October, but was delayed for additional pre-flight testing. MDA had expected to conduct the intercept last week, but the test was scrubbed due to poor weather. The multi-stage missile is an evolution of the Raytheon Standard Missile-3 Block 1 family, with the missile body expanding from 13.5-in. to 21-in. in diameter, the largest an Aegis vertical launch tube can accommodate. The missile has far greater speed and range than its predecessors, allowing it to take out short to intermediate-range ballistic missile threats on the edge of space using a upsized kinetic hit-to-kill warhead. Its range allows the missile to “engage-on-remote,” meaning it can be launched prior to receiving organic target tracking data from the Aegis ship’s SPY-1 radar. Instead it can take cues from satellites, forward-deployed, high-altitude drones or other remote sensors beyond the ship’s radar range. That capability will be demonstrated during later trials. The Feb. 3 test's success keeps the SM-3 Block 2A development program on track for fielding on land and at sea in 2018. Additional tests are expected prior to fielding. The missile will be deployed along with the latest Aegis ballistic missile defense capability upgrade, designated BMD 5.1. Besides on Aegis ships, the missile will be deployed on Aegis Ashore sites in Romania and Poland, beginning with Poland in 2018. The ship used during the intercept test, the USS John Paul Jones (DDG-53), was outfitted with the latest Aegis Combat System integrated air- and missile-defense software release, Baseline 9.C2. Contrary to the author, the SM3 Block IIA can most likely not take out a vast majority of the Short Ranged Ballistic Missiles (not that you would wan't to) given their altitudes. Also while he is accurate that this is the current largest diameter weapon the VLS can accommodate, they have successfully modeled the 27 inch SM3 Block 2 B on a modified cell. That is likely the maximum diameter they can accommodate without extensively reworking the ships and launch system. SM3 Block 2B is now on a pause but who knows maybe Trump brings it back if Japan goes with AEGIS ashore. Last edited by brar_w on 05 Feb 2017 06:29, edited 1 time in total. The US Army's Maneuver Centre of Excellence (MCoE) is evaluating a new disposable shoulder-launched rocket concept as one of the participating technologies in the Army Expeditionary Warrior Experiments 2018 (AEWE 2018) initiative at Fort Benning, Georgia. Designed and manufactured by Aerojet Rocketdyne, the Shoulder Launched Individual Munition (SLIM) is described in the AEWE 18 Technology Systems Book as 'a lightweight, fire from enclosure, ballistic guided, disposable rocket system, equipped with a multi-purpose warhead. Weighing 14.9 lb (6.75 kg) and less than a metre (36 ins/91.4 cm) in length (in both carry and firing configuration) SLIM is a point and shoot system intended for engagement ranges of between 15 m and 400 m. Accuracy is illustrated as 90% Probability of Hit at 200 m.
SLIM is designed to engage targets from within structures, without inflicting hearing or respiratory damage to the shooter; it's given target set includes light armour, adobe, brick and concrete structures and bunkers, and troops (using airburst mode). The calibre of the system has not been disclosed, nor has its current technology readiness level (TRL) status. Aerojet Rocketdyne declined to comment on the SLIM development. Results from the evaluation of SLIM and other shoulder-launched munitions are expected to inform the selection process for the US Army's future Individual Assault Munition (IAM) capabilities development document. The IAM is the prospective next-generation, disposable, confined space shoulder launched munition intended to provide an over matching lethality against light armour, hardened targets and field fortifications in urban and complex terrain. According to the US Army, the IAM "will combine all the best capabilities of the M72 LAW, M136 AT4, M136E1 and M141 BDM [Bunker Defeat Munition] and replace them in the Army arsenal." 1. Technology Selection (October 2016 - January 2017). 2. Supporting Plan Development (April 2017 - December 2017). 3. Network Integration and EXFOR Technical Training (October 2017 - January 2018). 4. Non-Networked Assessments (October - November 2017) *as required. 5. Live Force on Force Event (January 2018 - February 2018). 6. Deliverable Products Development (March 2018 - June 2018). In some ways, preparing the SM-3 IIA for this test was made easier by previous work Raytheon, the Navy, MDA and the industrial base have done on the Standard Missile family of weapons, which all operate through the Aegis Combat System and launch from Vertical Launching System tubes aboard Navy cruisers and destroyers or from ground-based Aegis Ashore sites. 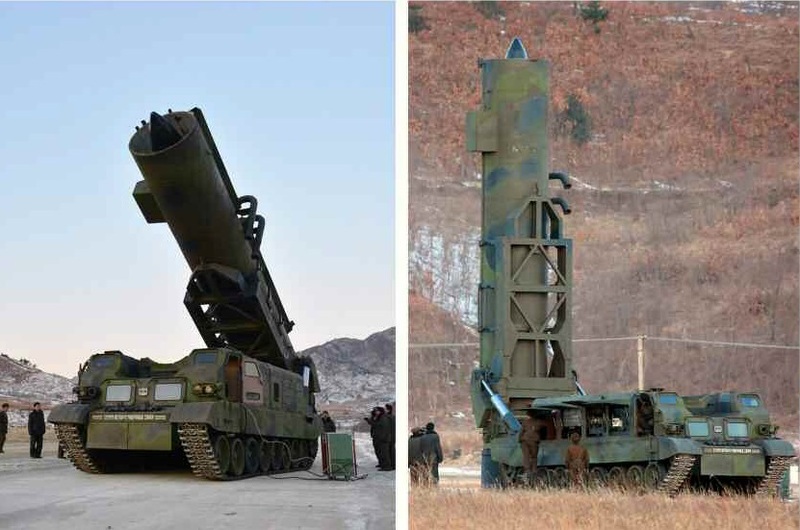 On the other hand, this SM-3 IIA is much larger than the other Standard Missiles, creating some additional concerns. SM-3 IIA, in addition to bringing in the Japanese industrial base, the SM-3IIA program seeks to improve upon the SM-3 IB missile, which is already fielded at sea and in the first Aegis Ashore site in Romania. “We have now increased the capability of our propulsions systems to get more range, better velocity, which increases the capability for the defended area and also gives combatant commanders and tactical commanders on the ground more flexibility in their methods of employing the systems,” Stevison said. 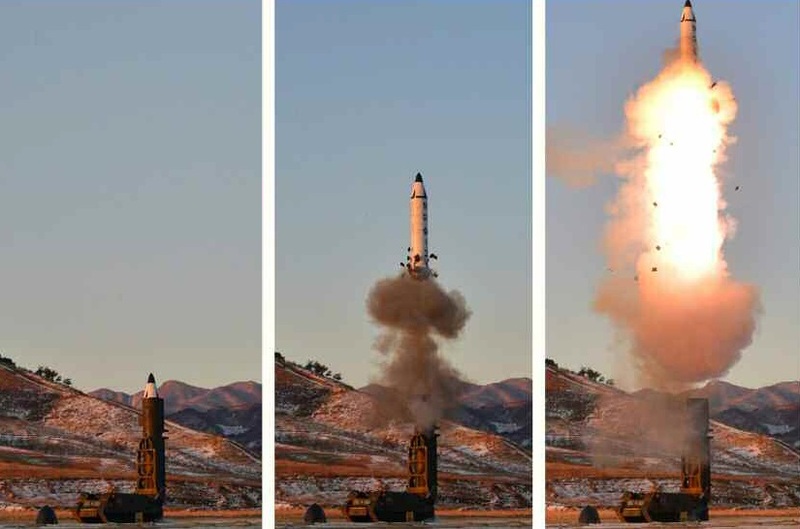 According to South Korean and US military sources, the morning of February 12, 2017 North Korea made its first test launch of a new solid-fuel medium-range ballistic missiles. 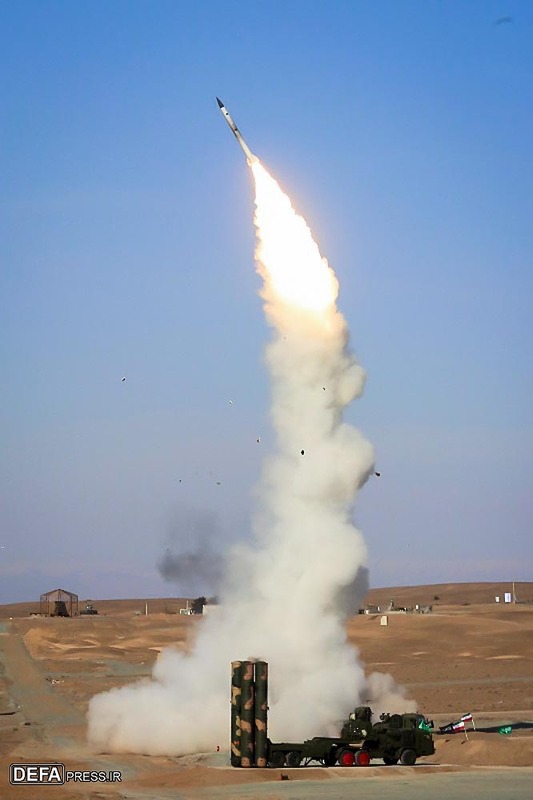 The missile was launched from a mobile launcher from the area of the military airfield in Pangёn Pyongan province on a special high-altitude trajectory with the aim range limits. The missile in flight reached 550 km altitude and fell into the Sea of Japan about 500 km from the starting point. For a moment after launch it actually fell back to meet Mother Earth, but dear leader's stare pushed it back up. 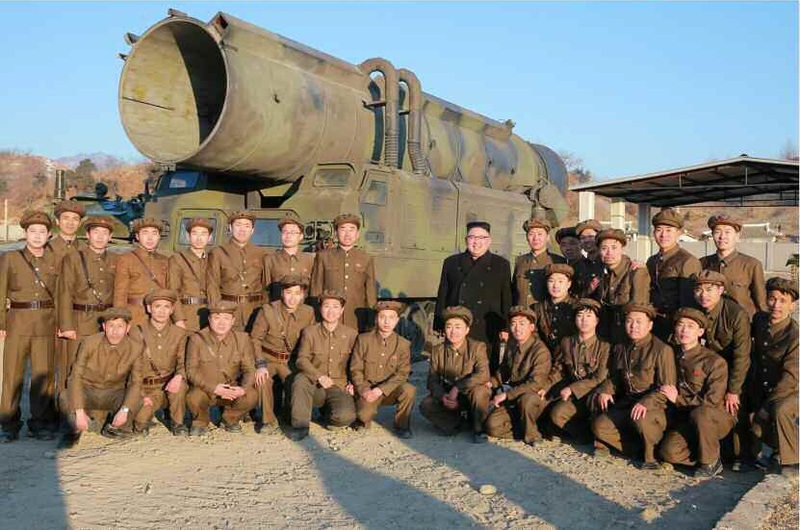 btw, it's the same missile they used for their SLBM program. Amazing what NoKo has managed to do. They are getting pretty good within the span of less than a decade. When survival is at stake, I guess you will do some truly amazing things. Joint Rafael-Raytheon proposal to add Stunner Missile to Poland's Patriot setup. They will also be getting the 3 Panel GaN AESA (C-Band) within 48 months of first radar delivery (it will be upgraded in Poland). Raytheon claims new radar has added to the GEM-T's range by around 25% taking it above 200km. Poland plans to stick with raytheon's organic C2 for the Patriot unlike the US which is moving wholesale towards IBCS (Northrop). Same with Launchers and other systems which the US is also competing. Last edited by brar_w on 15 Feb 2017 16:37, edited 2 times in total. That missile has 1 large first stage and then a seperatable RV , it not a 2 stage missile with RV. To get ICBMish range they will have to add two more stages to it plus seperatable RV or PBV if they MIRV it. You have to hand it to Pres. Putin.ranked as the most powerful world leader by western glossies,his relentless goal of modernising and expanding the Ru armed forces during his terms as pres. has never been affected. Look by contrast at India,where despite the huge Chinese mil surge,plus the relentless efforts of the Pakis to match us,we reduced our def. budget this yr.It is not even 3% of the national GDP.Surely the BJP can do better! Putin is the example to follow,as despite real eco hardship for Russians he has kept to his goal and it is paying him v.rich dividends. His Syrian gambit a spectacular success and the capture of the Crimea ,with its enormous geo-strat. importance ,dominating the Black Sea, has seen it enhance its maritime influence in the Meditt. too with bases in Syria and other possibilities in Egypt and Libya. The revolution in mil affairs with the advent of the Net,social media,hacking et al,has seen the Chinese form an IW army,which will spearhead its future wars,taking the battle right into the brain of the enemy and attempt to short-circuit his commns. and command systems,both mil and civil. Putin has realised its prime importance,whatever the truth about Ru hacking in the US elections, hence this new IW mil force. Russia plans to form a new branch of its armed forces to focus on information warfare, the country’s defence minister has said. Speaking to parliament, Mr Shoigu said the military received a sweeping array of new weapons last year, including 41 intercontinental ballistic missiles. He added that the wide-ranging military modernisation will continue this year, with the air force set to receive 170 new aircraft. The army will receive 905 tanks and other armoured vehicles, and the navy will receive 17 new ships. Also this year, three regiments of Russia's strategic nuclear forces will receive new intercontinental ballistic missiles, Mr Shoigu said. Each regiment has up to 10 launchers. The rising number of new weapons has raised demands for new personnel. Mr Shoigu said the military currently needs 1,300 more pilots and will recruit them by 2018. Declaring the formation of the dedicated information warfare troops, the defence chief noted that "propaganda needs to be clever, smart and efficient." He wouldn't describe the troops' mission. Retired Gen. Vladimir Shamanov, the head of defence affairs committee in the lower house of parliament, was equally vague, saying that the information warfare troops' task is to "protect the national defence interests and engage in information warfare," according to the Interfax news agency. He added that part of their mission is to fend off enemy cyber-attacks. Viktor Ozerov, the head of the upper house's defence and security committee, also told Interfax that the information troops will protect Russia's data systems from enemy attacks, not wage any hacking attacks abroad. US intelligence agencies have accused Russia of hacking Democratic emails to meddle in the recent presidential election, a claim Moscow has denied. Some EU officials also voiced concern that the Kremlin could seek to influence this year's elections in the Netherlands, France and Germany. Retired Col. Gen. Leonid Ivashov, the former head of the Defence Ministry's international cooperation department, said that Russia should rely on information warfare troops to fight back against what he described as Western propaganda. "We must stop offering excuses and force the West into the defensive by conducting operations to expose its lies," Mr Ivashov said in remarks carried by RIA Novosti news agency. A severe money crunch after the 1991 collapse of the Soviet Union left the military in tatters, with most of its planes grounded and ships left rusting at harbour for lack of funds. As part of President Vladimir Putin's military reforms, the armed forces have received new weapons and now engage in regular large-scale drills. Russia has used its revived military capability in Syria, where it has launched an air campaign in support of Syrian President Bashar Assad and used the conflict to test its new weapons for the first time in combat. The weapons modernisation effort has seen the one-million-strong Russian military narrow the technological gap in areas where Russia had fallen behind the West, such as long-range conventional weapons, communications and drone technologies. Mr Shoigu said the military now has 2,000 drones compared to just 180 in 2011. He also noted that Russia has now deployed new long-range early warning radars to survey the airspace along the entire length of its borders. Mr Shoigu also said the military will complete the formation of three new divisions in the nation's west and southwest, and also deploy a new division on the Pacific Islands, which have been claimed by Japan. The dispute over the Kuril Islands just north of Japan, which the former Soviet Union seized in the closing days of World War II, has prevented the two countries from signing a peace treaty. Russia previously has deployed new long-range anti-ship missiles on the Kurils to protect the coast. The deployment of a full-fledged Russian army division there appears intended to stake Moscow's claim to the islands, which have strategic importance and are surrounded by fertile fishing grounds. icatinny Arsenal engineers are progressing work with their M777 extended range (ER) howitzer, based on the 155 mm M777 towed artillery system, and expect to soon test the weapon with new ammunition.Test firings in November 2016 helped advance the M777ER programme that officials hope can "create an M777 howitzer that can fire out to over 70 km", Picatinny Arsenal said in a 27 February statement. Modifications added 2.4 m to the cannon, but limited the added overall system weight to 454 kg. "The total length of the tube increased the chamber volume as well as the rifling length," Picatinny said. "That, in combination with the additional increment of legacy propellant, resulted in an increase in range of several kilometres." The M777ER is part of a wider Extended Range Cannon Artillery (ERCA) project to develop technology that can extend ranges for all 155 mm artillery. It includes a XM907 cannon as well as XM1113 rocket-assisted projectile, the XM654 supercharge, an autoloader, and a new fire control system. Programme officials are to next test the M777ER to determine if it can handle "the force from the new ammunition since we would be going from a 7 km increase in range to a 40 km increase in range". If successful, those tests could lead to user evaluations or soliciting other modifications. Testing in July 2017 will use "some new prototype hardware and new ammunition to build on the confidence we got from the November  test, but isn't a complete upgrade to the system yet", David Bound, M777ER team lead, told Jane's . Then, around July 2018, Bound expects the final demonstrator will be fully upgraded with all of the army's latest hardware. "We are working towards getting this demonstrator to be as close to representative of the howitzer we would eventually qualify for fielding as we possibly can," he said. To begin the project a non-firing mobility platform was developed to ensure an M777ER howitzer, with its longer cannon, could still be towed with minimal modifications. A 155 mm/39-calibre cannon firing demonstrator was then built and tested, with results informing engineering design models for the objective ER weapon, Picatinny said. "The latest configuration of the M777ER weapon integrated a 55-calibre cannon tube onto the weapon platform" that was manufactured at the army's Watervliet Arsenal, it added. All remaining testing will be done with the 155 mm/55-calibre cannon, Bound said.mproving range for precision fires weapons is a high priority for the Pentagon and the US Army. The legacy M777, if firing GPS-guided M982 Excalibur rounds, has a maximum range of about 40 km. Excalibur is an ER, autonomously guided projectile using a combination of high-glide ratio, lifting-body airframe, and tightly coupled GPS/inertial measuring unit (IMU) guidance to achieve such ranges with a high degree of precision. Precision out to 70 km with a system as relatively mobile as the M777 would be a significant capability increase. So they have 64N6 BIG BIRD (S/X-Band ) , 96L6E ( L band ) and 30N6 Tomb Stone radar ( X band ) operating for S-300PMU2. No they will buy Su-30MK that is what they expressed interest in some time back but not before 2020 as they are under UN Sanction approved by P-5 which is in effect till 2020 where they cant buy offensive system like Tanks or Fighter Aircraft but can buy Defensive System like SAM. 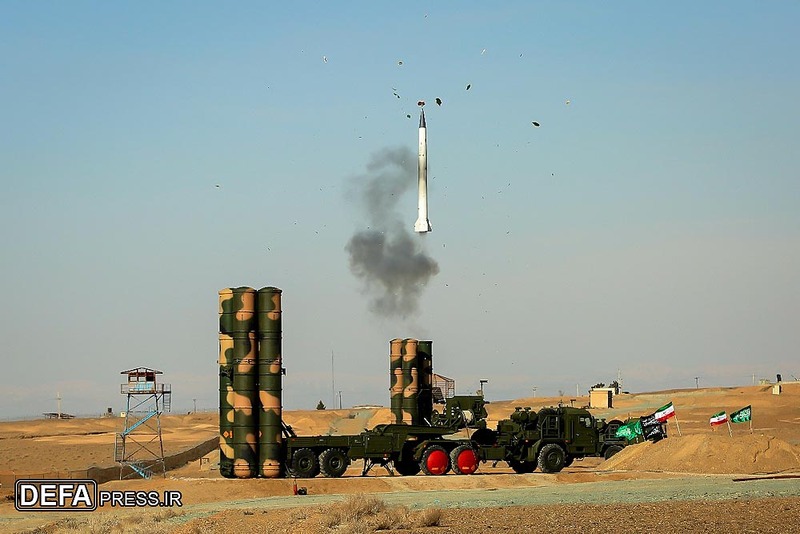 Considering Irans AD is based on modified reverse engineered French , US and Russian SAM of 60/70 , Beyond S-300 they will need BUK-M2 for medium range threats and possibly reverse engineer S-300 and BUK-M2 in due course of time. Before yesterdays test the THAAD deployment was expected in the July, 2017 - September,2017 window. Don't know if the new calls are to accelerate even further. SEOUL, South Korea – In a move sure to heighten tensions with China, the U.S. has begun deploying a controversial missile defense system in South Korea as the allies vow to bolster defenses against an increasingly menacing North. The first parts of the Terminal High Altitude Area Defense system known as THAAD arrived at Osan Air Base on the divided peninsula shortly after Pyongyang launched four ballistic missiles into the sea near Japan on Monday. “The first elements of THAAD arrived within the last 24 hours. It’s here now,” U.S. Forces Korea spokesman Christopher Bush told Stars and Stripes Tuesday morning. He noted that U.S. Defense Secretary Jim Mattis and his South Korean counterpart Han Min-koo agreed in a phone call last week that the anti-missile battery would be deployed as soon as possible.“The arrival of the first elements of THAAD shows what as soon as possible means in the ROK-U.S. alliance,” he said, using the acronym for the Republic of Korea as the South is known formally. Bush declined to give a specific timeline for the complete deployment of the system, which includes truck-mounted interceptors, an AN/TPY-2 radar that can detect and track ballistic missiles in descent, fire control. The commander of U.S. forces in Korea, Gen. Vincent Brooks, said in November that he expected it to be operational in eight to 10 months, which would mean as early as July. “The system will be fully operational as soon as possible,” Bush said. Washington and Seoul agreed in July to deploy the THAAD to counter a growing threat from North Korea, which has defiantly continued to pursue its nuclear weapons program despite diplomatic pressure and tightened U.N. Security Council sanctions. But the plans met with several obstacles, including adamant opposition from China, which fears the system’s powerful radar could be turned against its own military and jeopardize the geopolitical balance that has largely governed the region since the Korean War ended in 1953. Bush reiterated U.S. insistence that the system is defensive in nature and will only be aimed at North Korea. “THAAD will add an important capability to the existing air and missile defense of the ROK. And it is a purely defensive measure that the alliance must take in light of the serious threat posed by North Koran ballistic missiles,” he said. Many South Koreans also have objected to the THAAD due to health and economic concerns, largely centering around fears of retaliation from trading partner and regional powerhouse Beijing. The THAAD landed just over a week after a Lotte Group affiliate approved a land-swap deal to allow the system to be stationed at an elite hilltop golf course in a remote southeastern region. The opposition forced the allies to change the initial location from a South Korean military base to a remote hilltop golf course run by one of the country’s largest conglomerates. When it announced the planned deployment in July, the Pentagon said the THAAD would “contribute to a layered missile defense” that will enhance the missile defense capabilities already available to the alliance. The THAAD, made by Lockheed Martin Corp., is designed to destroy short-and-medium range missiles at a high altitude, while the Patriot missiles long employed by the alliance would work at a lower level. South Korea long resisted U.S. pressure to agree to allow the THAAD to be deployed in the country. But it relented last year after the latest crisis was touched off when North Korea conducted its fourth nuclear test followed by a long-range rocket launch. Pyongyang went on to carry out a fifth nuclear test in September along with two dozen missile tests throughout the year. Tensions have further risen this year as North Korea conducted two more missile tests, most recently the barrage on Monday. Leader Kim Jong Un also used his New Year’s address to announce that North Korea was in the “final stages” of preparations to test an intercontinental ballistic missile. That would put the country closer to its stated goal of being able to target the U.S. mainland with a nuclear-tipped missile. The U.S. has about 28,500 servicemembers stationed in South Korea, which is separated from the North by the world’s most fortified border. The two countries remain technically at war after the 1950-53 conflict ended in an armistice instead of a peace treaty. This is video reminds me that hollywood movie where they practically build a flying ballon out of discarded junk and leaves an island. Forgot the name. I mean astonished how "unsophisticated" the surrounding of the assembly line looks -- looks more like an abandoned workshop of a railyard and they are pretty much manually assembling a missile that has canisterized cold launch capability? Just beginning the deployment process. Usually deploying a large system as the THAAD is a time-consuming process since the full battery can consume more than 20 C-17 flights between the 5-6 launchers (full up system supports 6 launchers with 8 missiles, but US has so far used a 5 launcher setup leaving only UAE with the 6 launcher a battery configuration), radar, C2 systems, missiles, spare parts, and gear for the operators. 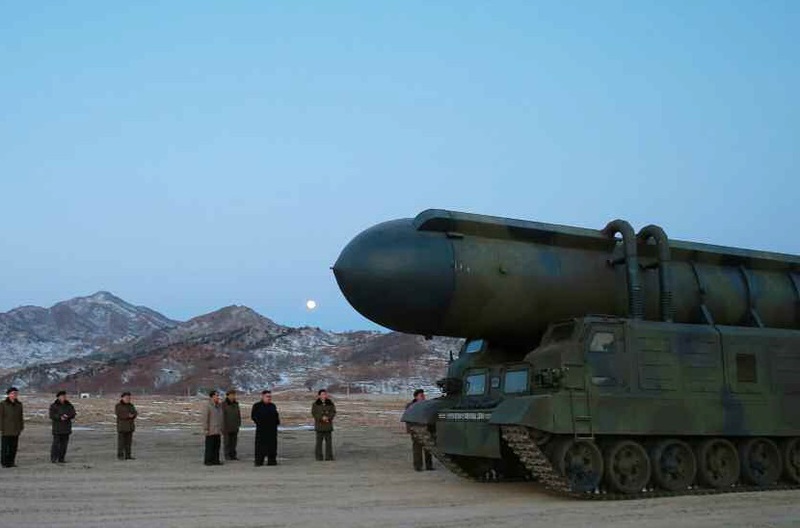 Not yet clear which version of the block 5 AN/FPS-132 they had selected (It comes in a 73 ft. diameter, and 84 ft. diameter variant). The US Department of Defense announced on 24 February that it had awarded a USD1.07 billion contract to Raytheon to supply an unidentified early warning radar system to Qatar. It said the contract is expected to be completed by 20 June 2021. The US Defense Security Cooperation Agency announced in July 2013 that Qatar had requested the sale of a Raytheon AN/FPS-132 Block 5 Early Warning Radar at an estimated cost of USD1.1 billion. The AN/FPS-132 is an upgraded version of the AN/FPS-123 'Pave PAWS' ultra-high frequency band, long-range radar that is used by US Strategic Command to provide early warning of intercontinental and submarine-launched ballistic missiles approaching the United States. 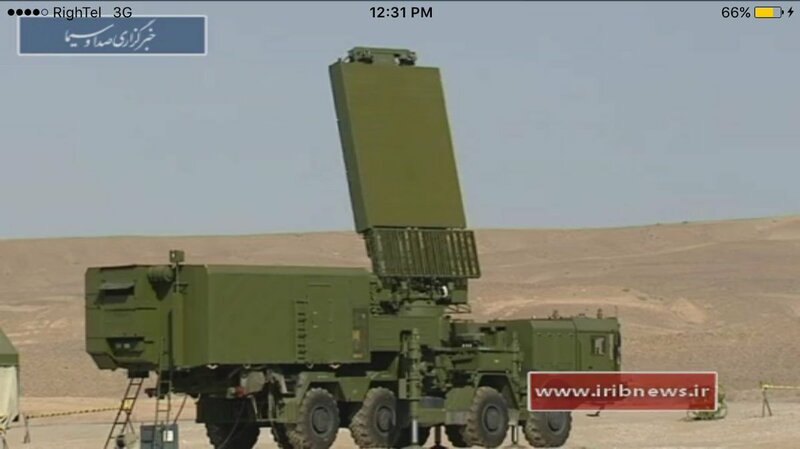 There has been speculation as to why the Qataris want a radar with a 5,000 km range when a smaller, less expensive one would be adequate for detecting Iranian ballistic missile launches, with some commentators claiming that the Qatari AN/FPS-123 is part of a US plan to reduce the effectiveness of Russia's nuclear weapons. Although neither Qatar nor the United States have explained the requirement for such a long-range radar, it will help Doha's bid to host an integrated ballistic missile defence network for the Gulf Cooperation Council (GCC) states. Qatar's leading position in this respect is being further augmented by the Air Defense Operations Centre (ADOC) that Raytheon is currently developing for it. The ADOC C4I system will theoretically enable all the air defence radars and missile launchers in the region to be integrated into a single network that provides more effective defence. However, it is as yet unclear whether the other GCC governments will allow their assets to be integrated into the Qatar-based ADOC. Last edited by brar_w on 08 Mar 2017 18:44, edited 2 times in total. Iran almost certainly has four S-300PMU2 long-range air defence batteries, each with a LEMZ 96L6E target acquisition radar, satellite imagery obtained by Jane's shows. These four batteries are supported by two 64N6 'Big Bird' battle management radars. Iran originally ordered four S-300PMU1 batteries, but Russia cancelled the deal in 2010. After President Vladimir Putin reversed this decision in April 2015, Iranian officials said Moscow would have to honour the original contract before Tehran dropped its case at the International Court of Arbitration. However, Russian officials said this would be impossible as the PMU1 was no longer in production, while Russian press reports suggested Iran would have to accept the completely different S-300V-series instead. Sergei Chemezov, the CEO of Russia's Rostec state corporation, made contradictory statements about what was agreed. When asked by the Wall Street Journal in March 2016 if Iran would get the PMU1, he said: "Yes, they gave the conditions and said they need only an S-300PMU1." When the Russian business daily Kommersant asked in June if Iran was receiving PMU2 systems that were produced for Syria under another cancelled order, he said: "Yes, we are talking about the four divisions." 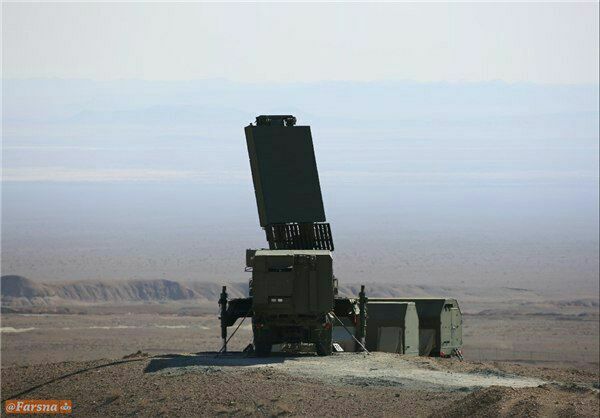 Iran provided the best evidence to date that it has received the PMU2 on 4 March, when it announced that its new systems had carried out live-fire tests and released the first imagery showing a 96L6E: a type of radar that is more closely associated with the PMU2 than its predecessor and continues to serve with Russia's S-400 Trimuf system. Iranian television footage showed at least three 48N6-series missiles being launched during the tests. The PMU2 uses the 48N6E2 missile with a range of 200 km, but it is looks identical to the 150 km-range 48N6E used with the PMU1. Although Iranian media coverage appeared to show only one battery involved in the live-fire tests, Airbus Defence and Space satellite imagery obtained by Jane's shows that by 20 February two batteries had been deployed at the airstrip just to the west of the Semnan air defence test range in addition to the one seen at the range in the Iranian media coverage. All three were supported by a 96L6E. A fourth 96L6E and a single 64N6 'Big Bird' battle management radar were set up between the airfield and the battery on the range. 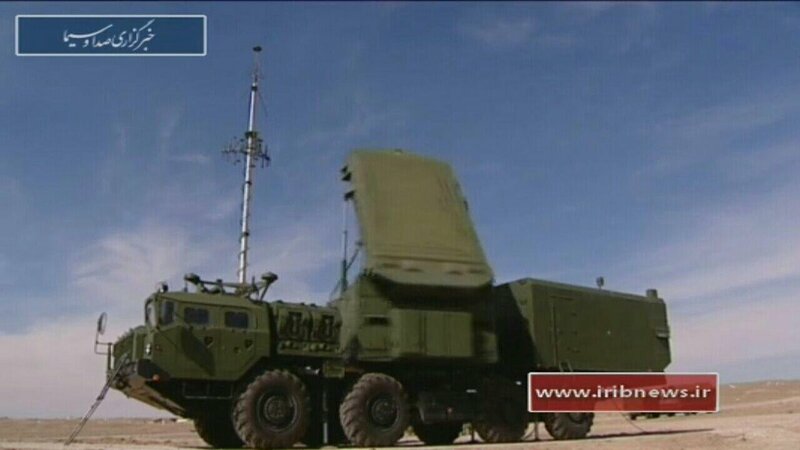 These radars can be linked to batteries up to 200 km away using the FL-95 communications masts that Iran has received. 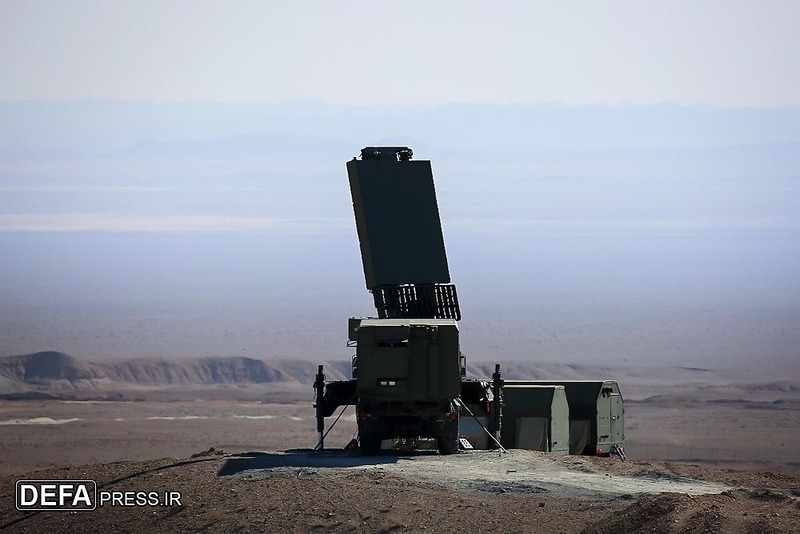 On the same day, a fourth battery without a 96L6E was present at the air defence base at Khavar Shahr, southeast of Tehran, while a second 'Big Bird' was deployed at the air defence base in Kahrizak, south of Tehran. A total of 10 5P85-series transporter erector launchers could be seen on 20 February, but satellite imagery from 26 November 2016 shows a total of 16 at Khavar Shahr and an air defence training site in eastern Tehran, meaning there are four launchers for each battery. Iranian air defence commander Brigadier General Farzad Esmaili said that a ballistic missile was successfully intercepted during the live-fire tests. The Iranian media released photographs showing two different types of jet-powered aerial targets apparently being launched during the tests, but there was no evidence to corroborate the claim that a ballistic missile was also used as a target. This emphasis on the new ballistic missile defence capability could be read as a message to the Saudis that Iran can now intercept the DF-3 liquid-fuel missiles that they acquired from China in the 1980s, thereby shifting the strategic balance in Iran's favour. brar_w...since the S300/400 are big huge systems ..not sure how mobile they are in terms of shoot/scoot..how vulnerable are they to anti radiation missiles? manjgu wrote: brar_w...since the S300/400 are big huge systems ..not sure how mobile they are in terms of shoot/scoot..how vulnerable are they to anti radiation missiles? I guess as much as any other system and therefore that is why they would/should have protection through pantsir or similar systems in addition to other SHORAAD air defenses. For Iran, the challenge will be to keep this hidden, to minimize or control their emissions and of course float them around (which may be hard if they are tasked to protect high value targets) because these will be primary first day of war targets through high speed ARM's, saturated stand in jammers, decoys and large number of munitions delivered by low-observable platforms. I think the iranians are more worried about the large number of saudi F15 and Tornadoes which Prince salman might unleash on them in a punitive yemen style campaign under US pac3 and thaad cover of saudi areas. then there is the new lot of advanced F15, with boatloads of munitions. - offer the russians a couple of bases on the gulf to draw the bear into the honeypot. - test a couple of N-bums if they have it. nobody much talks of invading noko these days. but Iran thinks it is smart and can face off the sunni-NATO combine alone. not realistic imo. by now a couple of iranian bases should have been humming with ruaf bombers flying to syria. Shalav wrote: ]Reactive armour being fitted on an M1A2. so after decades of wailing that chobham was enough and more tfta than russi reactive armour, they are loading up on ERA on top of the invulnerable chobham. I call it the "kornet effect"
the sides of the tank are vulnerable. the tank would have been too heavy otherwise. the US held off installing reactive armor because of the danger to supporting infantry. and in fact, the way the US uses tanks with supporting infantry, reactive side armor really wasn't necessary. its how we fight. however other countries such as Iraq and Saudia Arabia don't use supporting infantry like the US does. and you can see the obvious results. so until we come up with a new tank, installing reactive armor was considered a cost effective measure. 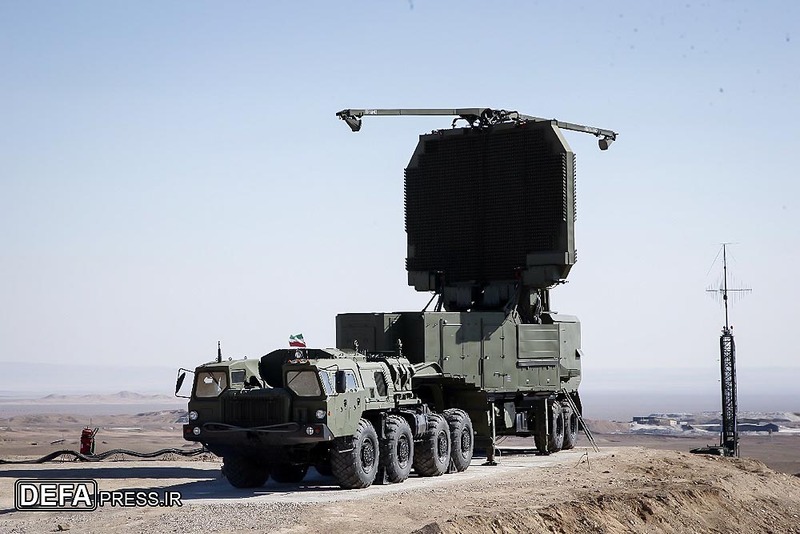 I have yet to see the Bavar missile tests and so far all they have shown is PESA radar of Bavar much less the missile whose capabilities remain unknown , Yet Iran claims it has capabilities like S-300 and then it wants to import S-300 from Russia. More likely the claim on Bavar being equal to S-3xX is for H&D reason. the reactive side armor issue carries through to other dimensions of US military orthodoxy. it wasn't necessary for the US but for other countries it was a deficiency because of their mode of fighting. I guarantee it will be the same for stealth aircraft. what will work for the US will not work for other countries. our stealth aircraft are designed for US military missions and tactics. point of reference to the f-35 lack of world class dog fighting ability. for some countries dog fighting is the sine qua non of jet fighters.